Zawahri’s assault became one of the most notorious cases involving unfinished receivers, which are unregulated and have become readily available for purchase online and at some gun stores. One of the most notorious? It’s the only one I’m aware of at all. But of course, they have to make this appear to be a bigger problem than it really is. ATF officials say gun enthusiasts are effectively exploiting a loophole in the law designed to regulate firearms. Under the Gun Control Act of 1968, it is illegal for an unlicensed person to make a firearm for sale or distribution. Vendors, however, say that because the receivers are not finished, they are not firearms and therefore are legal to sell and distribute. It’s not a loophole. The law has to define what a firearm is, so any firearm boiled down to its components will always have one serial numbered part that ATF considers “the firearm,” usually the receiver. ATF also makes determinations on what is and isn’t a receiver, so I find it interesting that ATF is classifying this as a loophole when it’s ATFs own determinations that make it so. What goes unmentioned is that you have to define what a receiver is. If you get ridiculous with it, hunks of metal and plastic suddenly become illegal. But I suspect the target is home gun building. 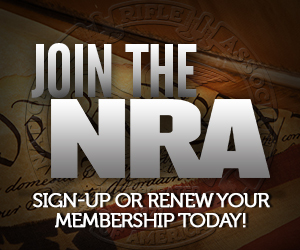 Before the gun control supporters and their helpful lapdogs in the media can make any progress toward making home building and home gunsmithing completely illegal without a license, they first have to demonize it, and make it appear to the uninitiated to be some kind of shadowy underworld rather than people engaging in a hobby. Sari Horwitz: resident pearl clutcher AND plagiarist. I though “ghost guns” was the official scary-sounding propaganda term? She must be behind on the monthly gun control talking points newsletter. Converting them into firearms is relatively simple: use a drill press to create holes in the receivers, well out certain areas and then combine the pieces with other parts to make a fully functioning semiautomatic rifle. It would be interesting to see Horwitz buy a 80% lower and a drill press, and undertake this “relatively simple” operation herself. Which isn’t to say that I think it’s particularly difficult, just that I believe the Luddites on the left are most fearful of things they don’t understand and can’t do. Firearms built with unfinished receivers are increasingly being found at crime scenes and being purchased from suspected gang members by undercover ATF agents. In the context that 10 years ago the number was probably 0 and is now at least 1, it’s technically correct that the numbers are increasing. Considering more people are beaten to death with hands and feet than are killed with a long gun most years, I’d have to guess the subset of long guns built from unfinished lowers found at crime scenes is probably vanishingly small. I also suspect that the real reason nobody will provide Horwitz with a number isn’t that police aren’t reporting untraceable guns, but rather that the number is so small that it doesn’t support her hysteria. Well, yeah. Because the ATF says that too, like you say. Everytime I read people are bitching about 80% lowers and home builds, it reminds me of the guy who built an AK receiver from a shovel, used the handle of said shovel as a stock, and used left over AK parts he had laying around to build a functioning rifle (albeit a little heavy). In the last decade, I suspect one’s odds of being killed or wounded by an 80% pipe bomb (aka pressure cooker) are substantially higher than the odds of being killed or wounded by an 80% lower-built rifle. Vendors, however, say that because the pipe bombs are not finished, they are not explosive devices and therefore are legal to sell and distribute. These unregistered 80% pipe bombs are a multi-million dollar industry supported by the “Big Kitchen” lobby. Found an organization that uses pipe bombs to murder and terrorize Americans and you can go on to a career in academia and help launch a future president’s political career. Build a perfectly legal rifle from perfectly legal parts and you’re exploiting a loophole and presenting a danger to society. Brilliant. I’m stealing this one. You know what they call 80% finished Sten receivers at Home Depot? Galvanized steel tubing. Eight bucks a foot, so cheap even a kid can afford one.